A network infrastructure that’s agile and more efficient than a traditional network environment is worth its weight in gold for modern businesses. That’s because in today’s Software-as-a-service (SaaS) world, anytime anywhere connectivity is a must for remote workers and branch offices alike. The old way of backhauling traffic from branch offices back to headquarters to the internet and back is no longer desirable or manageable for network managers. As SaaS skyrockets and branch offices become the norm, Software-Defined Wide-Area Networking (SD-WAN) has emerged as a winning strategy for today’s leading businesses. SDN-WAN has forever changed how networks are built and are managed. SDN extracts network services from the underlying infrastructure by decoupling network controls. SDN allows for programmatic control over the network from a central location, generally a cloud-based console. As more users rely on the cloud to access business-critical applications (i.e., Salesforce, Office 365, G-suite, etc. ), SD-WAN enables organizations to adjust their networks to match application needs. Without increasing reliance on manual controls or expensive multiprotocol label switching (MPLS) links, SD-WAN aggregates multiple access technologies, like cable, broadband, 4G/LTE, and routes traffic across the best line depending on real-time availability, application requirements and policies. Software-defined WAN routers also dramatically streamline and automate traditionally tedious network tasks, like provisioning, orchestration, and management. In doing so, SD-WAN routes lower WAN operating and capital costs significantly, improve application performance and help businesses become more agile and productive, particularly in managing remote branch networks. With the adoption of SD-WAN continuing to grow in leaps and bounds, the technology is also being coupled with wireless capabilities to give businesses even more functionality. 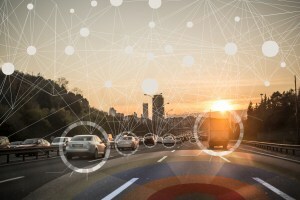 Cloud-based applications are driving the need for bandwidth along with the need for a truly redundant connection at every location. SD-WAN and wireless offer a simpler rollout of these new network deployments. This ‘branch in a box’ concept brings simplified wireless connectivity to local area networks (LANs). Let’s take a closer look at why is wireless an essential component to a successful SD-WAN deployment. A MORE complete SD-WAN solution- For small and medium-sized businesses with several branch locations, SD-WAN coupled with wireless is a comprehensive solution that previously required additional vendor support. Cloud connectivity demands an always-on connection driving the need for truly diverse redundancy. Look for SD-WAN solutions that offer wireless connectivity as a component as well as wired connectivity and include centralized, cloud-based management capabilities for a more efficient branch network configuration and simplified management. Branch-in-a-box- These coupled SD-WAN/wireless solutions require minimal manual set up and provisioning. Look for software-based WANs that tout zero-touch deployments and automatic configuration so branch offices only need power and network connectivity to start operation. SD-WAN and wireless solutions enable the single source of orchestration for the branch network, meaning Wi-Fi connects branch offices and allows for the management of movement of traffic remotely from a cloud-based console. Intelligent traffic management and software-defined policy management- The added visibility and insight into the network with SD-WAN saves times and lets network managers centrally control bandwidth, applications, and usage remotely by the click of a button through a cloud-based interface. SD-WAN routers can also automatically adjust applications flows and implement software-defined algorithms to optimize application performance, based on application-centric rules (i.e., VoIP, video, etc.) and user-defined policies. Teams can prioritize critical applications, control traffic by restricting application usage and designate permissions to non-mission critical applications, as needed. Chances are, your business is relying on the enterprise network to extend connectivity to the cloud, data center, WAN, and wired and wireless LANs, from the corporate office to distributed branch offices. To meet the increasing demands placed on the network today, look to SD-WAN services coupled with wireless to simplify and automate branch deployments and centralize management across the board. Talk to Broad Sky Networks about how 4G LTE and Brilliant Broadband and key components to a diverse, flexible and easy to deploy SD-WAN solution for unprecedented network visibility and control. Contact us today to learn more!